When you or anyone else you know have sustained damages due to the negligence or intently act of someone else, it is always possible to get compensation for the loss. However, not always the damage is of a quantifiable nature. While most of the personal injury cases are about the payment of lot finance, wages, and damage to property and its costing or medical bills and therapy fees, there is sensitive damage that can also be covered under the personal injury claim. 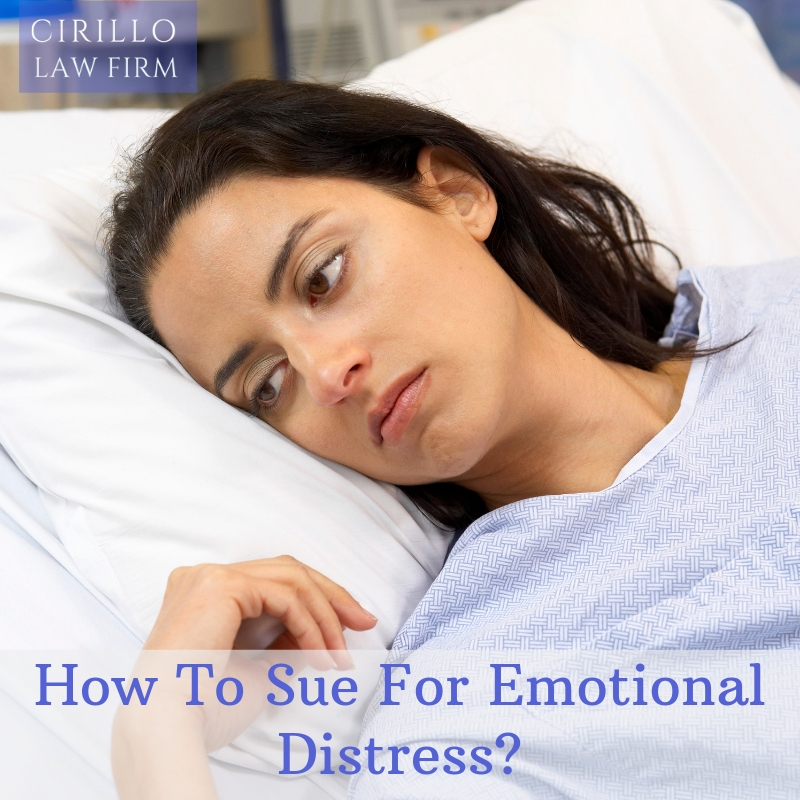 Yes, you can claim for the compensation of emotional distress caused by the injury. As the victim, you have rights related to the emotional suffering from a life-changing event or injury and in this article, we will learn about them. Is emotional distress covered under the personal injury claim? Expert personal injury lawyer explains that emotional distress is covered under the personal injury claim. In case you have been into an accident or an event where you or someone you loved sustained damages which brought your emotional distress, you hold the rights to claim for the compensation of your lost peace of mind. This includes any injury sustained at work, during a car accident, while visiting a premise or any such situation wherein the consequences are a fault of the other party. The compensation you seek is for the anger, sadness, loneliness, helplessness or depression that you feel due to the event or accident. Professional personal injury attorneys have several examples of emotional distress to quote including Post-Traumatic Stress Disorder (PTSD), Anxiety, Depression, Panic attacks, Substance abuse, etc. However, to assess the extent of the emotional distress, there is a need for a professional diagnosis to analyses. If you have sustained physical injuries as the result of the accident or event, it serves as the ground for assessing your emotional distress levels. Proving that you sustained emotional injuries from an event can be tricky. You need professional help to prove your case in court. Hiring the best personal injury firm in New Haven is the best way to make your case stronger. The professional will help you prepare your case, file it in the court and even represent you during the trials. With professional help, you can make sure you get the right compensated for your emotional troubles that you never intended to have welcomed.